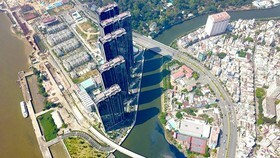 As of this time, Ho Chi Minh City has 21,800 poverty-line households accounting for 1.1 percent, the city has accelerated multi-dimensional poverty in the poorest districts with the effort to shrink the poverty household rate below 0.3 percent by the year-end. Moreover, city leaders wanted to finish the sustainable poverty reduction program two year earlier. One of poverty house which local administration has helped to escape poverty is Le Hoang Thien’s family. The family is one of 375 social welfare beneficiaries in district 5, all of them escaped the poverty. In addition to district 5, districts 3 and 6 have no more poor households. Le Hoang Thien couple has three daughters while they have unstable employment. Worse, his wife was undergoing operations; accordingly, their lives got harder and harder. While they were in despair, local administrations have provide timely assistance. 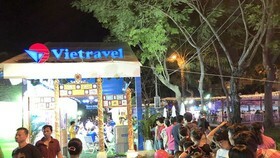 Early in 2017, the local administration presented the family a booth so that his wife can sell food for breakfast in front of Vien Dong condominium. 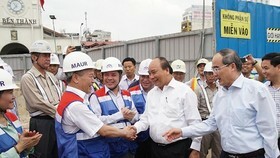 Moreover, they are eligible for lending VND50 million ($2,190) from bank as capital while Mr. Thien can earn VND3.5 million with his new employment as a guard at Trung Dung Company in district 8. He said that he and his wife are unanimous not let children qui school despite difficulties. Understanding his family condition, the district leaders exempted his children from tuition fee as well as give scholarships to the three kids. 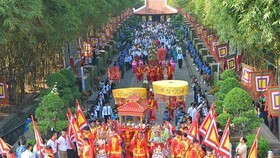 His daughters are eligible for loans of VND28 million from the social policy fund when they become university students. Furthermore, the family is supported to have health insurance and their dilapidated house was repaired last year worth VND30 million. Finally, all his daughters all finished schooling and can make money to support the family. 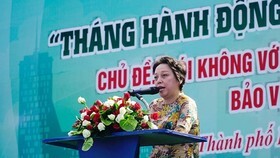 Revealing experience to finish the sustainable poverty reduction program earlier, Deputy Chairman of People’s Committee in district 5 Truong Canh Ba said that district leaders usually updated the number of poor households and nearly poverty households in the districts, the number of unemployed people to seek job for them or send them to vocational training. District leaders also study how many dilapidate houses to provide timely assistance. Within two years, 42 houses in poor repair have been built and repaired. Similarly, 660 poor households in district 6 gradually overcome the destitution and their children can continue schooling. 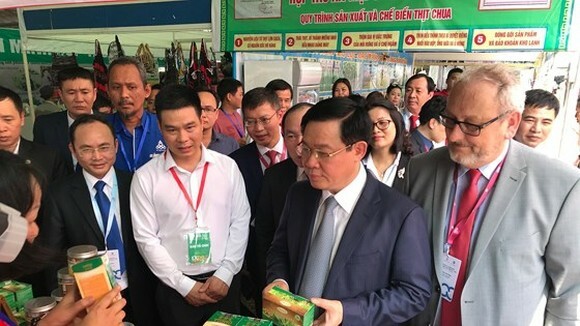 Deputy Chairwoman of People’s Committee in district 6 Le Thi Thanh Thao said that the local government take heed to poor families’ children by providing scholarships. For past time, the district has presented nearly 5,200 scholarships worth VND5.1 billion. Moreover, 116 kids from low-income families are being sent to learn in vocational schools. In reality, poor people needs help to repair houses and vocational training. 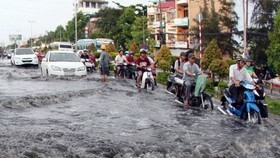 Annually, HCMC authorities help to build and repair around 1,000 houses of poverty-line and near poverty households. However, nearly additional 6,700 citywide needs repairing. 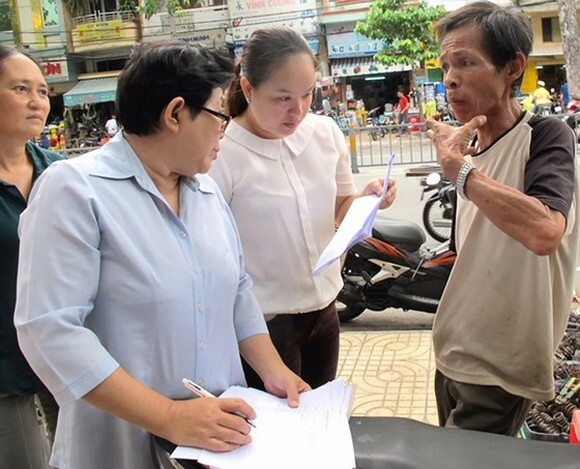 Head of Sustainable Poverty Steering Board in HCMC Truong Van Luong urged that the city needs carry out synchronous measures including developing social condominium and building more new houses even investing in children of low-income family in schooling and employment. 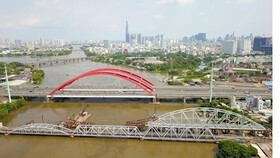 From now to end of the year, it is expected eight more district have no poverty houses helping reducing the rate of poverty households below 0.3 percent, said Mr. Luong. The city strives to finish the poverty reduction program for the period 2016-2020 two years earlier than planned, Mr. Luong added. Different from before, district leaders now focus on reducing poverty in the terms of education, medical care, employment, and housing also.